TNT sideline reporter Craig Sager will return to work on March 5 after nearly a year spent battling leukemia, his son says. 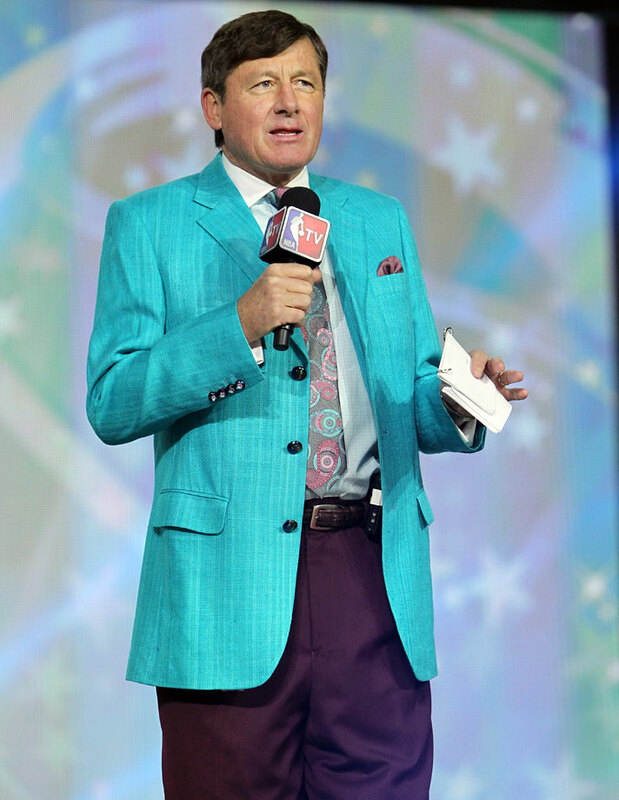 Sager will also work during Turner's coverage of the NCAA tournament. Sager, 63, was diagnosed with leukemia last April and missed the NBA playoffs while receiving treatment. He appeared on TNT during the network's coverage of the All-Star Game earlier this month to interview Carmelo Anthony. Craig Sager poses with the Jimmy V Perseverance Award at the 2016 ESPYS on July 13, 2016 at Microsoft Theater in Los Angeles. Craig Sager attends BODY At The ESPYs Pre-Party on July 12, 2016 at Avalon Hollywood in Los Angeles. Craig Sager salutes fans before Game Six of the NBA Finals between the Cleveland Cavaliers and Golden State Warriors on June 16, 2016 at Quicken Loans Arena in Cleveland. Craig Sager looks on before Game Seven of the Western Conference Finals between the Golden State Warriors and Oklahoma City Thunder on May 26, 2016 at Oracle Arena in Oakland. Craig Sager looks on before Game Six of the Western Conference Finals between the Oklahoma City Thunder and Golden State Warriors on May 28, 2016 at Chesapeake Energy Arena in Oklahoma City. Craig Sager is interviewed before Game Five of the Western Conference Finals between the Golden State Warriors and Oklahoma City Thunder on May 26, 2016 at Oracle Arena in Oakland. Craig Sager looks on during Game Three of the Western Conference Finals between the Oklahoma City Thunder and Golden State Warriors on May 22, 2016 at Chesapeake Energy Arena in Oklahoma City. Craig Sager interviews Kevin Durant following the Oklahoma City Thunder win over the San Antonio Spurs in Game Four of the Western Conference Semifinals on May 8, 2016 at Chesapeake Energy Arena in Oklahoma City. Craig Sager waits to interview Russell Westbrook following the Oklahoma City Thunder win over the San Antonio Spurs in Game Two of the Western Conference Semifinals on May 2, 2016 at the AT&T Center in San Antonio. Craig Sager interviews Kyrie Irving following the Cleveland Cavaliers win over the Detroit Pistons in Game Four of the Eastern Conference First Round on April 24, 2016 at Quicken Loans Arena in Cleveland. Craig Sager looks on during Game Two of the Eastern Conference First Round between the Cleveland Cavaliers and Detroit Pistons on April 20, 2016 at Quicken Loans Arena in Cleveland. Craig Sager interviews Dwyane Wade following the Miami Heat's win over the Chicago Bulls on April 7, 2016 at AmericanAirlines Arena in Miami. Craig Sager interviews Stephen Curry following the Golden State Warriors win over the Washington Wizards on March 29, 2016 at Oracle Arena in Oakland. Craig Sager interviews Kobe Bryant during the NBA All-Star Game on Feb. 14, 2016 at the Air Canada Centre in Toronto. Craig Sager interviews Karl-Anthony Towns after he received the Skills Challenge award as part of NBA All-Star Weekend on Feb. 13, 2016 at Air Canada Centre in Toronto. Craig Sager interviews Paul Millsap following the Atlanta Hawks win over the Boston Celtics on Nov. 24, 2015 at Philips Arena in Atlanta. Craig Sager waves to the crowd before the Golden State Warriors game against the New Orleans Pelicans on Oct. 27, 2015 at ORACLE Arena in Oakland. Craig Sager smiles during a game between the Chicago Bulls and Oklahoma City Thunder on March 5, 2015 at the United Center in Chicago. Craig Sager interviews E'Twaun Moore following the Chicago Bulls win over the Oklahoma City Thunder on March 5, 2015 at the United Center in Chicago. 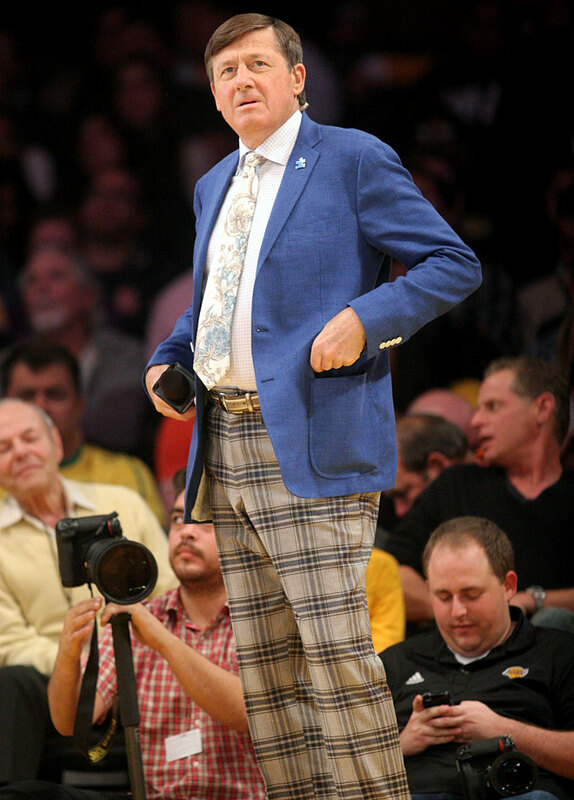 Craig Sager looks on during the Los Angeles Lakers game against the Portland Trail Blazers on April 1, 2014 at Staples Center in Los Angeles. 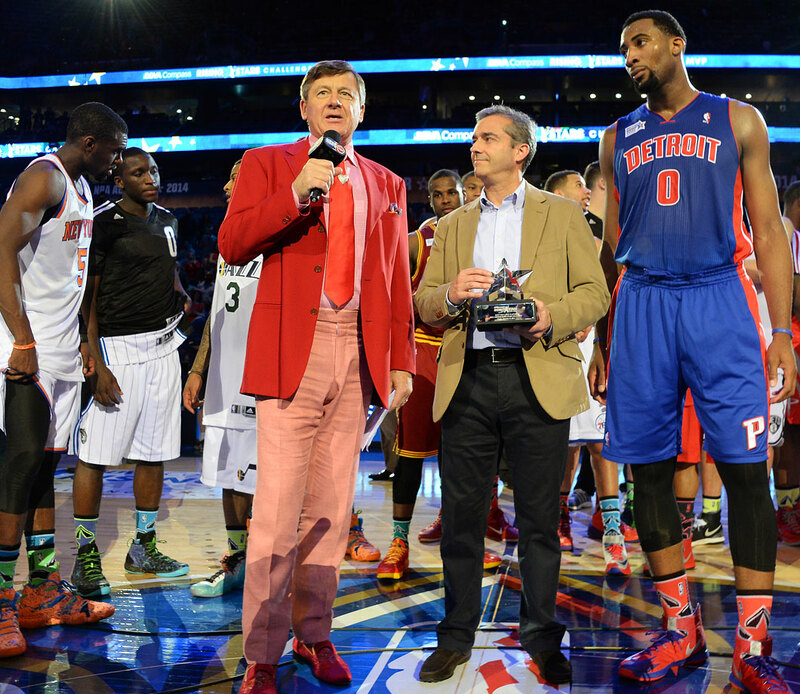 Craig Sager interviews BBVA President and COO Ángel Cano and Andre Drummond, awarded the MVP award for the Rising Stars Challenge part of NBA All-Star Weekend on Feb. 14, 2014 at the Smoothie King Center in New Orleans. 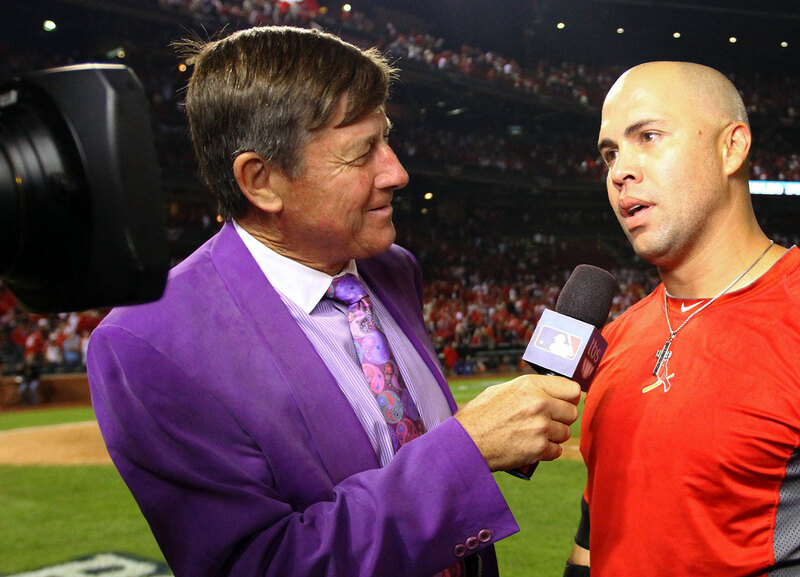 Craig Sager interviews Carlos Beltran following the St. Louis Cardinals win over the Los Angeles Dodgers in Game One of the National League Championship Series on Oct. 11, 2013 at Busch Stadium in St Louis. 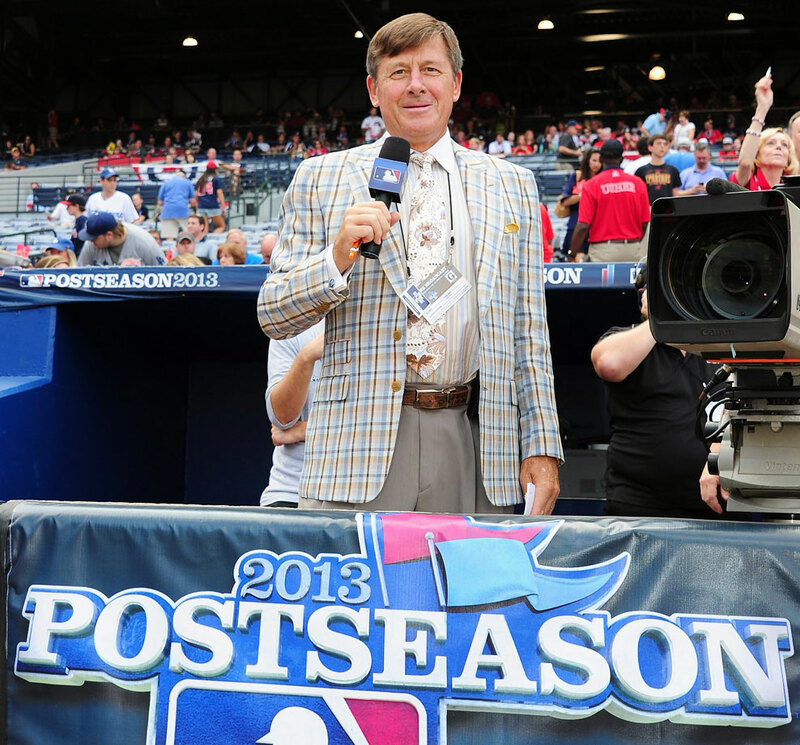 Craig Sager looks on during Game Two of the National League Division Series between the Atlanta Braves and Los Angeles Dodgers on Oct. 4, 2013 at Turner Field in Atlanta. 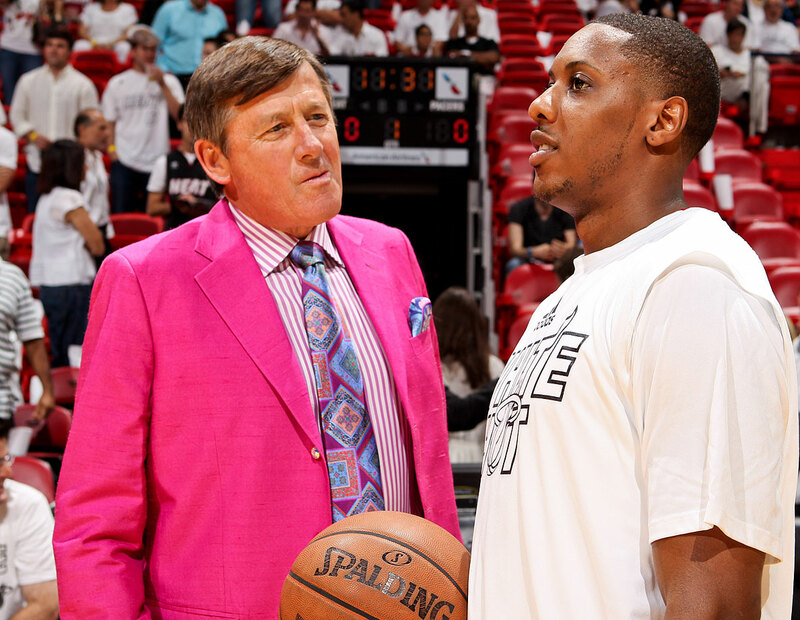 Craig Sager chats with Mario Chalmers before Game Five of the Eastern Conference Finals between the Miami Heat and Indiana Pacers on May 30, 2013 at AmericanAirlines Arena in Miami. 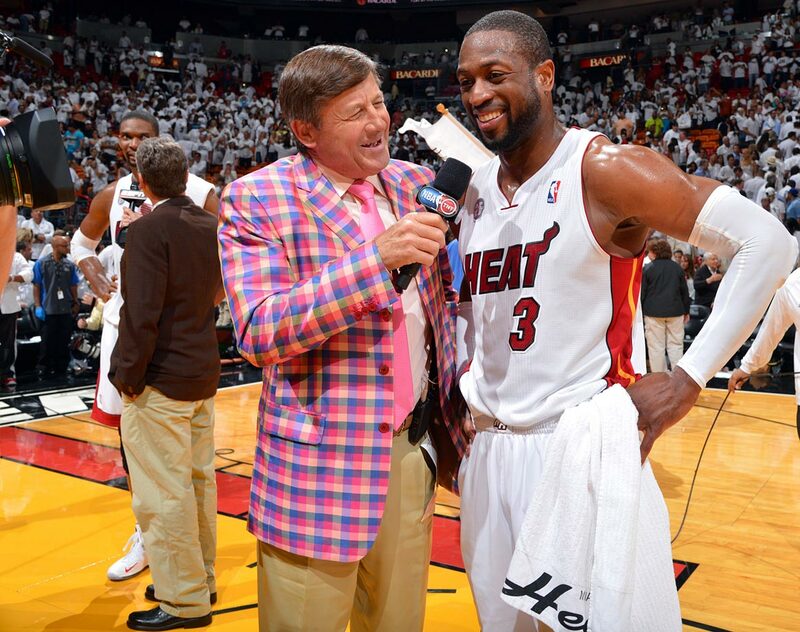 Craig Sager interviews Dwyane Wade following the Miami Heat's win over the Chicago Bulls in Game Five of the Eastern Conference Semifinals on May 15, 2013 at AmericanAirlines Arena in Miami. 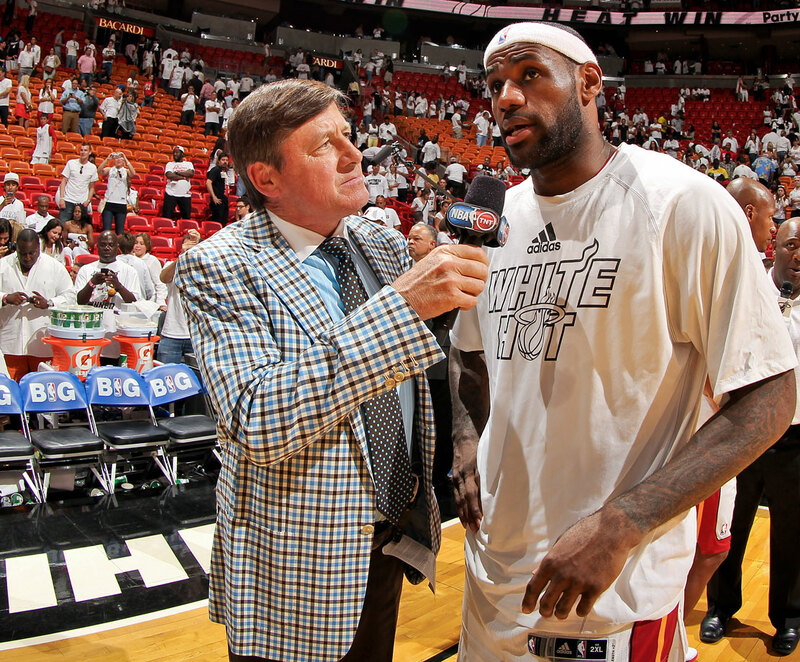 Craig Sager interviews LeBron James following the Miami Heat's win over the Chicago Bulls in Game Two of the Eastern Conference Semifinals on May 8, 2013 at AmericanAirlines Arena in Miami. 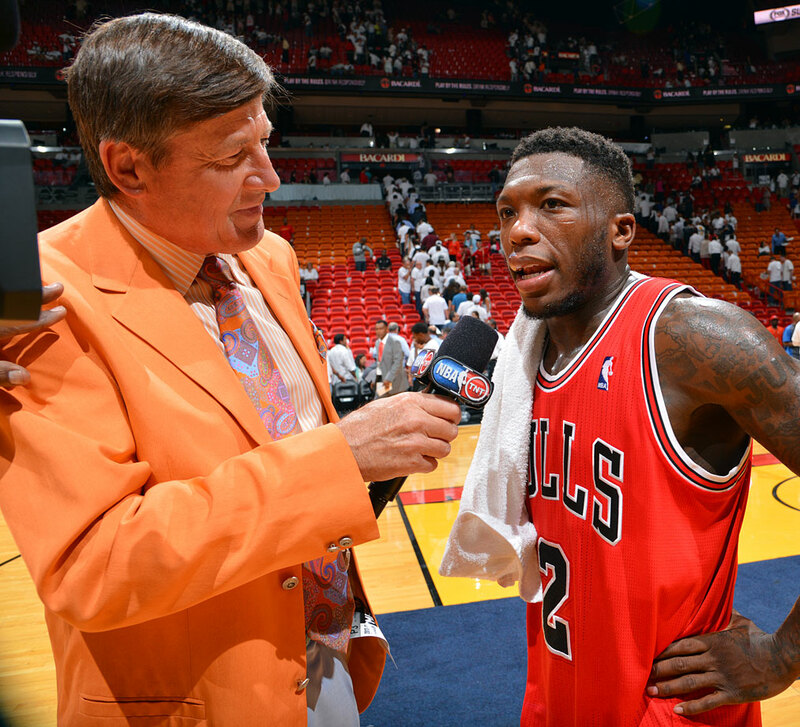 Craig Sager interviews Nate Robinson following the Chicago Bulls win over the Miami Heat in Game One of the Eastern Conference Semifinals on May 6, 2013 at AmericanAirlines Arena in Miami. Craig Sager introduces the players during the NBA All-Star Practice on Feb. 16, 2013 at the George R. Brown Convention Center in Houston. 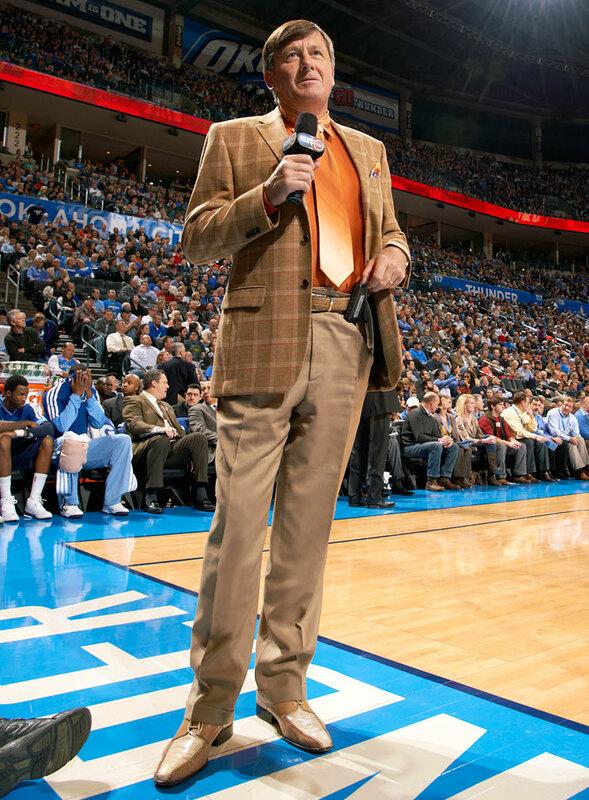 Craig Sager looks on during the Oklahoma City Thunder game against the Memphis Grizzlies on Jan. 31, 2013 at Chesapeake Energy Arena in Oklahoma City. 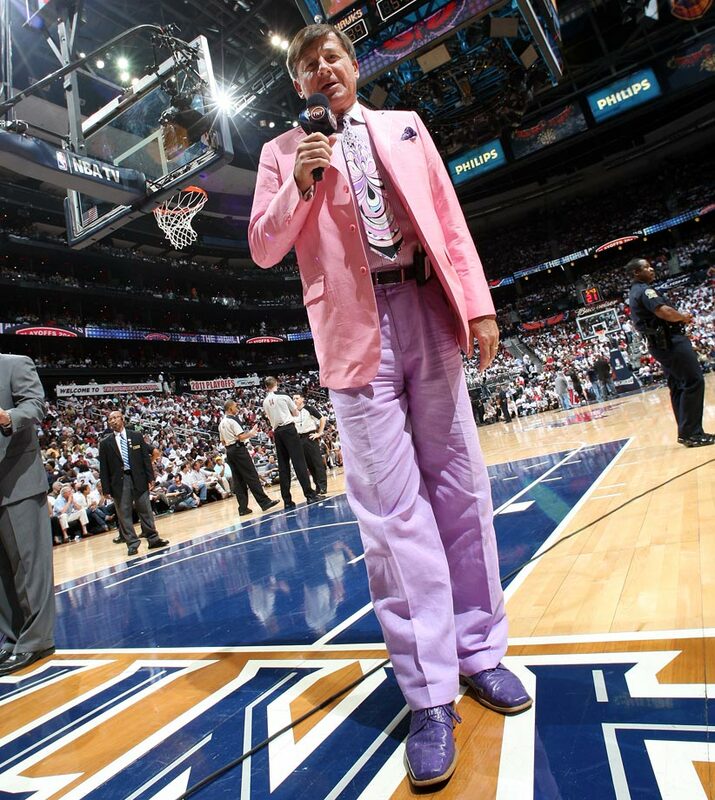 Craig Sager poses for a picture during Game Four of the Eastern Conference First Round between the Atlanta Hawks and Orlando Magic on April 24, 2011 at Philips Arena in Atlanta. Craig Sager interviews Kevin Druant during the NBA All-Star Game on Feb. 20, 2011 at Staples Center in Los Angeles. 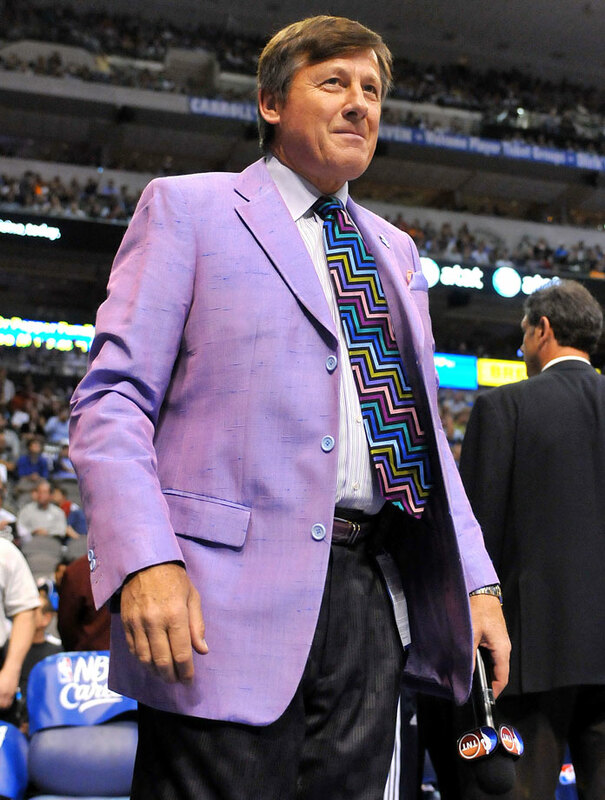 Craig Sager looks on during the Dallas Mavericks game against the Orlando Magic on April 1, 2010 at the American Airlines Center in Dallas. 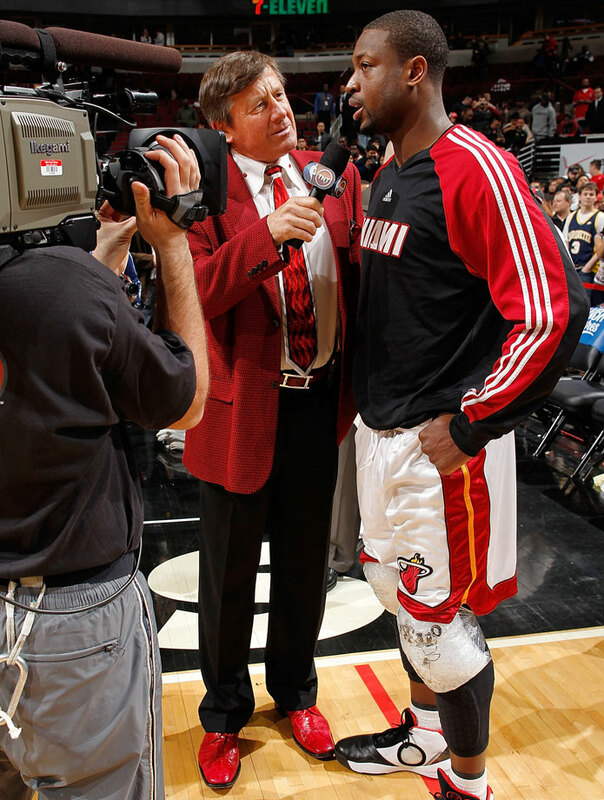 Craig Sager interviews Dwyane Wade following the Miami Heat's win over the Chicago Bulls on March 25, 2010 at the United Center in Chicago. 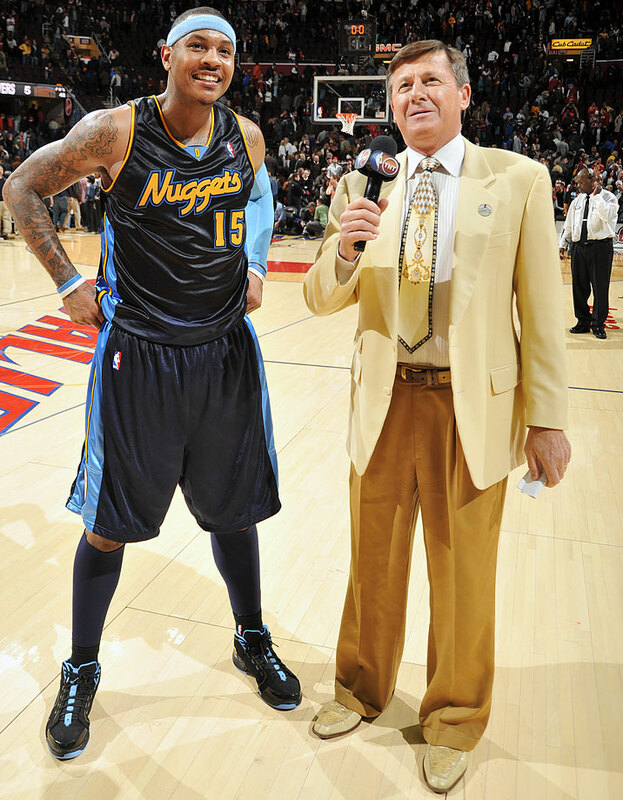 Craig Sager interviews Carmelo Anthony following the Denver Nuggets win over the Cleveland Cavaliers on Feb. 18, 2010 at Quicken Loans Arena in Cleveland. 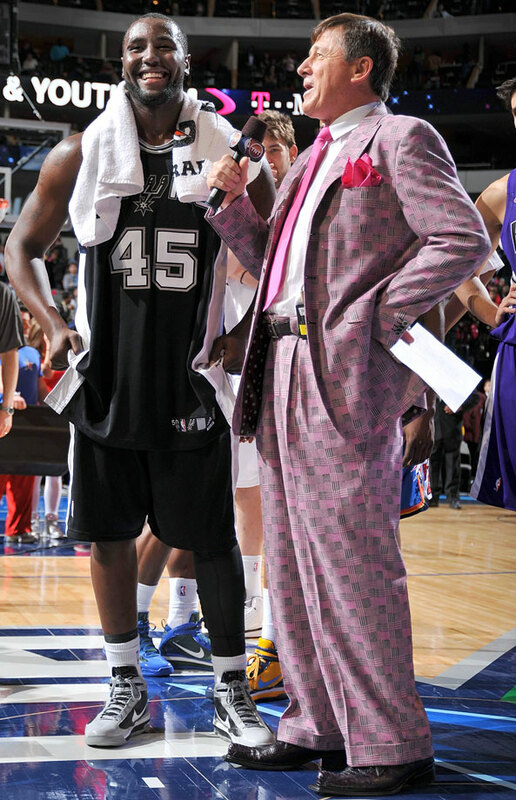 Craig Sager interviews DeJuan Blair following the Rookie Challenge part of NBA All-Star Weekend on Feb. 12, 2010 at the American Airlines Center in Dallas. 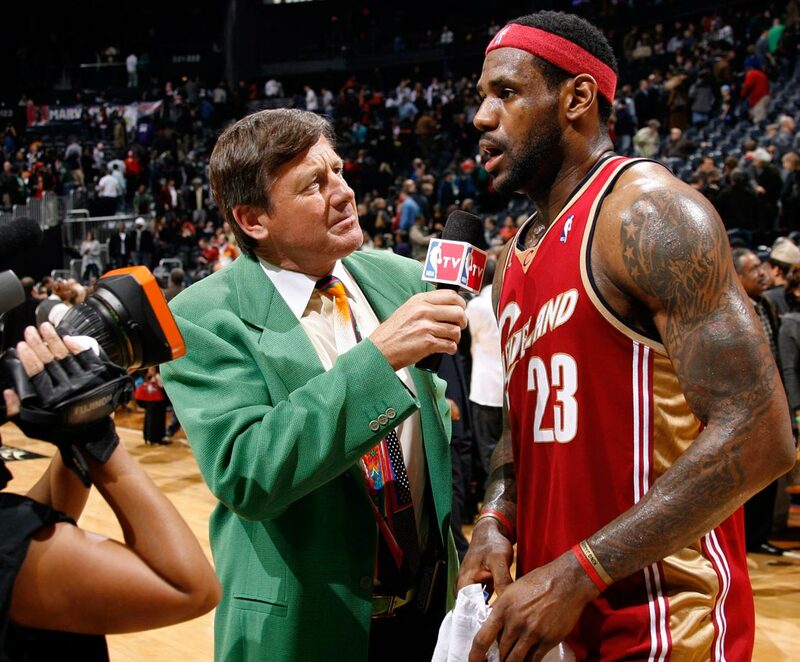 Craig Sager interviews LeBron James following the Cleveland Cavaliers win over the Atlanta Hawks on Dec. 29, 2009 at Philips Arena in Atlanta. 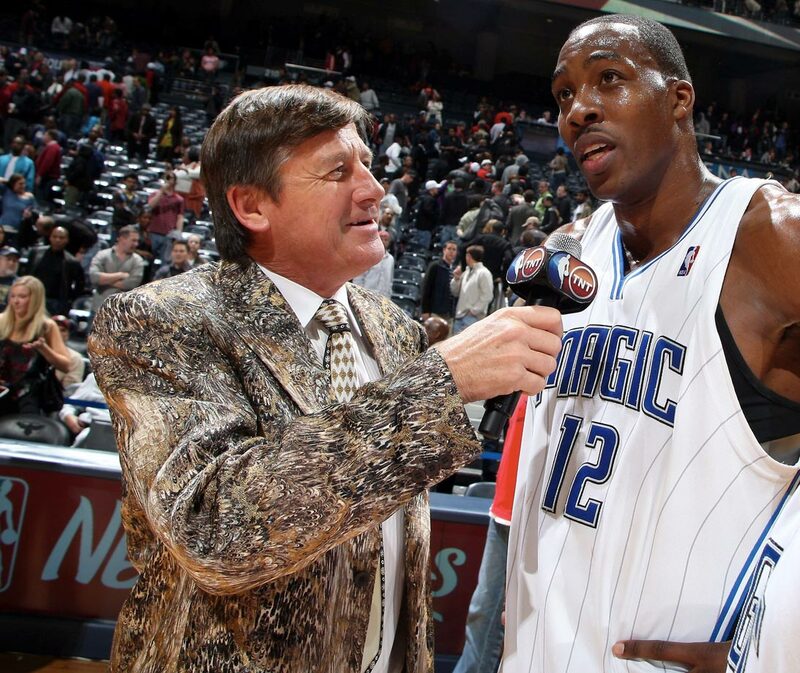 Craig Sager interviews Dwight Howard following the Orlando Magic's win over the Atlanta Hawks on Nov. 26, 2009 at Philips Arena in Atlanta. Craig Sager and his wife Stacy pose with Doug and Ryan Stewart at the Stewpendous Awards post-party on July 11, 2009 at the W Hotel in Atlanta. 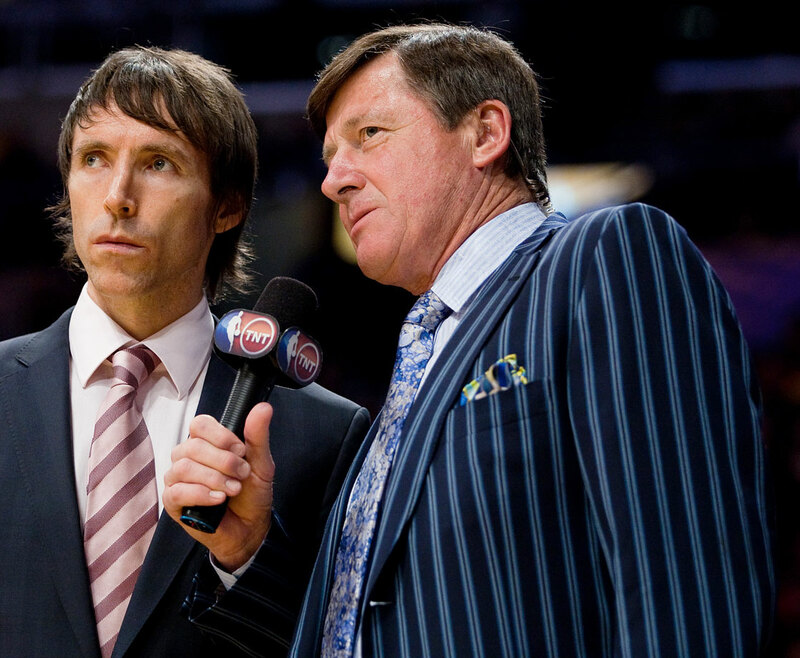 Craig Sager interviews Steve Nash during the Phoenix Suns game against the Los Angeles Lakers on Feb. 26, 2009 at Staples Center in Los Angeles. 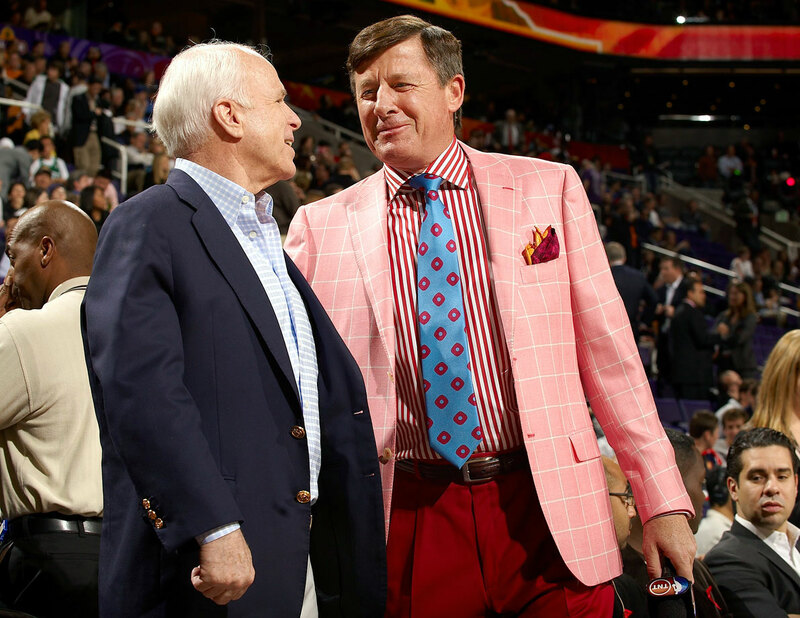 Senator John McCain chats with Craig Sager before the NBA All-Star Game on Feb. 15, 2009 at US Airways Center in Phoenix. 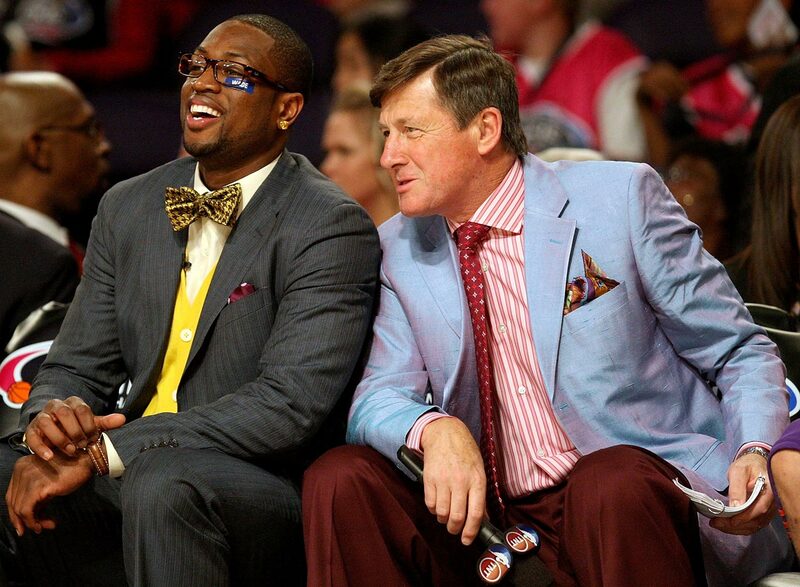 Rookie team assistant coach Dwyane Wade laughs alongside Craig Sager during the Rookie Challenge & Youth Jam part of NBA All-Star Weekend on Feb. 13, 2009 at US Airways Center in Phoenix. 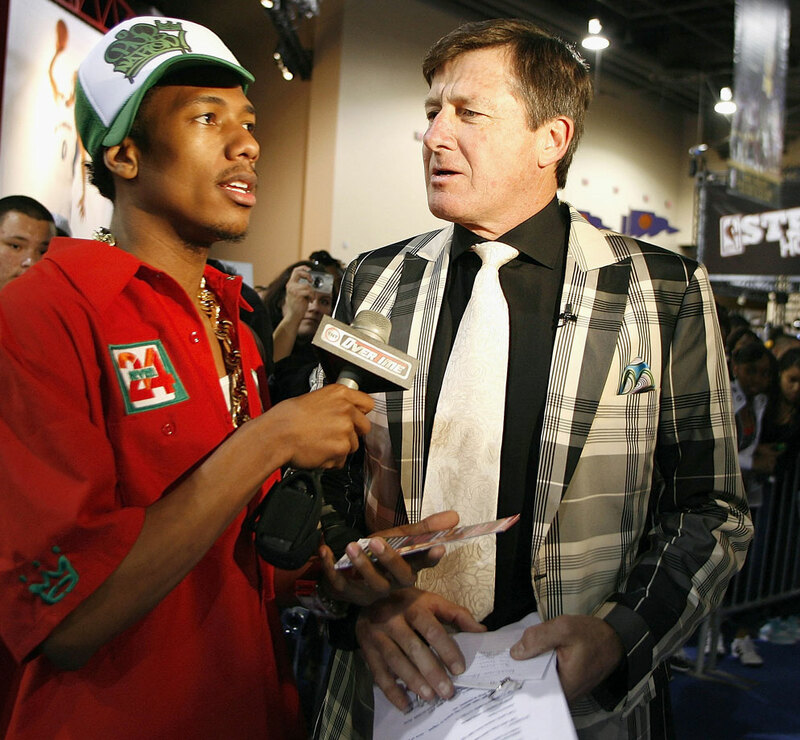 Nick Cannon interviews Craig Sager at Jam Session during NBA All-Star Weekend on Feb. 17, 2007 in Las Vegas.